New York (September 27, 2013) - Sumthing Else Music Works, the premier record label dedicated to licensing and distributing video game soundtracks, today announced that it has entered into a multiple-title licensing agreement with Konami Digital Entertainment, Inc., to release the original soundtracks from the critically acclaimed action-adventure video game series, Castlevania: Lords of Shadow. 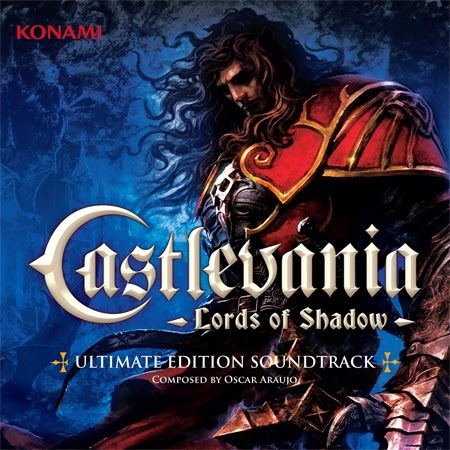 Featuring the original musical score from the best-selling title in Castlevania franchise history, Castlevania: Lords of Shadow Ultimate Edition Soundtrack is scheduled for a physical release on October 29, 2013 to North American and European retail outlets through Sumthing Else Music Works, and simultaneously for digital download at iTunes, Amazon MP3 and other digital music sites. An extended version of the album, the Castlevania: Lords of Shadow Director's Cut, includes twenty previously unreleased tracks which will be available exclusively from www.Sumthing.com. The partnership announced today also includes the upcoming album release for Castlevania: Lords of Shadow - Mirror of Fate Original Soundtrack, available digitally on October 29 followed by a CD release in November, and the highly anticipated Castlevania: Lords of Shadow 2 Original Soundtrack (Q1 2014). Developed by Mercury Steam in association with Kojima Productions Studio, Castlevania: Lords of Shadow (2010) is a dark and vivid new re-imagining of the Castlevania mythology. The epic original score, composed by Oscar Araujo and recorded with the 120-piece Bratislava Symphony Orchestra, received numerous accolades including 2011 'Best Original Score for a Video Game or Interactive Media' from the International Film Music Critics Association. For more information on the Castlevania: Lords of Shadow series, please visit: http://www.konami-castlevania.com/. Just Announced! I love this game and I am so glad that it has managed to stick around for as long as it has. Please take a look and listen to the newest score for a really cool game and the cover itself... just say "YES"! Man this series just keeps going! Happy Halloween from the Wolf! Cheezy Flicks Never Lets Us Down! NYCC: WHEDONVERSE ENTERS TENTH SEASON! "Just Announced" from KRONOS RECORDS!